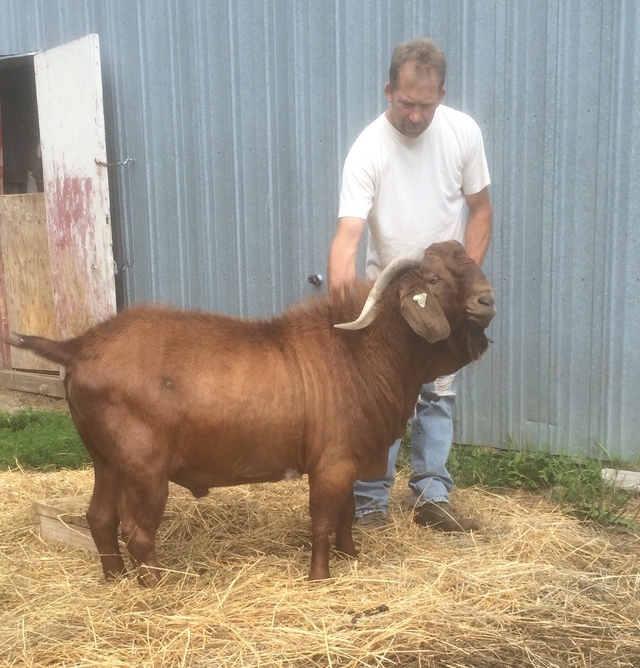 Openherd: J&D Livestock is a farm located in Erhard , Minnesota owned by Judy Whip & Darrin West . We are a small farm located in West Central Minnesota (Erhard MN 56534) who have a nice selection of Commercial Boer Goats, Hampshire Cross Sheep, and Lowline( Aberdeen Angus), British White, and Hereford Cross cattle. Our livestock is raised for meat purposes and is fed and cared for to produce a good carcass quality making it very tasty without the use of implants and other non-natural methods to speed the maturity of the animal to market weight. They are not grass fed only as we feel the regular feeding of a grain product makes the carcass marble nicely and produces a juicier better tasting product. We hope we can help you in fulfilling your needs in having a good product for your freezers in the future. Please feel free to contact us with any questions regarding our livestock and what we have available.